FFAB Legopack AB has selected Bark's dosing system - Bark Innovations B.V. The Swedish firm FFAB Legopack AB has selected Bark Verpakkingen’s dosing system for 2‑stroke oil applications. Legopack is a contract filling company of various chemical products with a specific focus on brake fluid and other fluids, lubricants and greases, and related products. A number of Legopack’s private label customers have indicated that they want to make use of Bark’s dosing system. 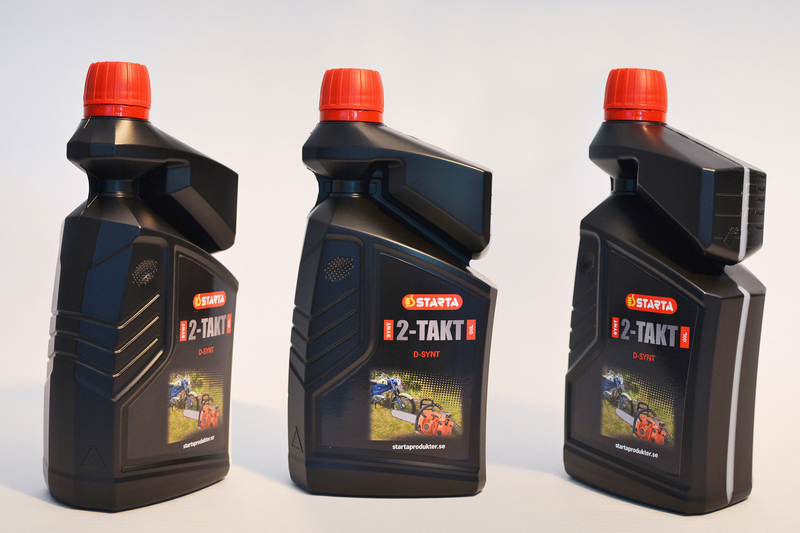 Bark Innovations has designed a 1-litre bottle for that reason with a ‘technical appearance’ that does justice to the application. A dosing chamber that allows for variable dosing was selected for this purpose.